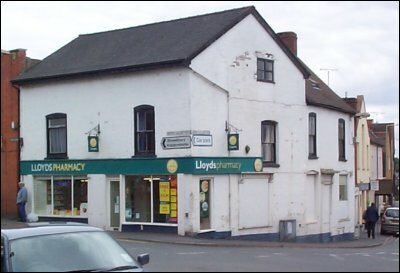 Since I had come over to Birmingham to go to Back In Time Live, I decided I might as well make a complete geek holiday of it and visit the home of Zzap!64, Ludlow in Shropshire. Zzap! wasn't actually born here but in Yeovil, Somerset. However after three issues the magazine editorial offices were moved to Ludlow to share the building with the Crash staff. It was in this building (1/2 King Street) that Zzap! spent most of it's life. After saying goodbye to Mort and Jules at the train station in Birmingham, I proceeded to cross the road to the 192 bus stop, the first step on my journey to Zzap! Towers. Unfortunately the bus trip was over two hours long, but I divided the time between trying to sleep, listening to Back In Time 3 (which on first listen, sounds extremely good) and reading issue 30 of Commodore Scene (which was left forgotten in the VIP lounge after everybody else had left the room at the end of the BIT Live night).After travelling many miles and passing through many towns and driving by many fields, I managed to get off at the correct stop and found myself in downtown Ludlow. Finding accommodation wasn't as easy as I'd hoped, even although it was only Thursday. The first few places I tried had none available. Fortunately after a bit of a trek around the town I found lodgings in the "Blue Boar Inn" on Mill Street, very close to the castle and also handily enough, close to King Street as well. After chilling out for a while and checking out the vast array of TV channels available in the room (four! ), I decided to hit the town. The first stop was Ludlow castle which was pretty amazing. It's a Norman castle built in the 1200's and most of the buildings are still intact, minus the wooden bits such as roofs and floors etc. I always find it fascinating walking through these old buildings imagining what it would have been like to live in those times and how the buildings were back then. After strolling around the castle, I had a pleasant egg and cress roll in a quiet but friendly cafe just by the castle grounds. Now it was time for the main event of the mission to Ludlow, to find the old Zzap offices. 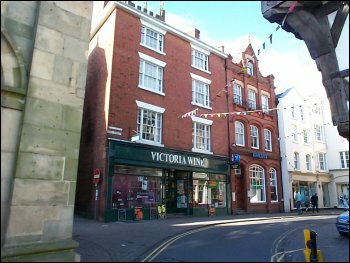 However after walking about 10 meters down Castle Street towards King Street, I passed by the Tourist Information, which had free entry to a museum of Ludlow around the back, so I had to take a look at that first. 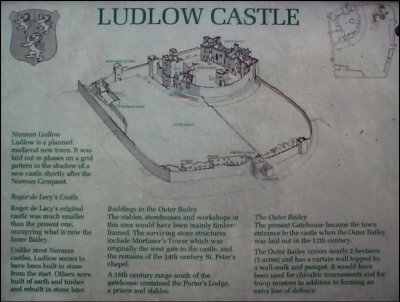 Did you know that Ludlow was once a very well to do genteel place where the well to do would come to live and spend their time? Or that the chief industry at one time was glove making? Unfortunately both of those things passed, the first due to the extension of the rail network, which caused the genteel people to discover even nicer places to visit and the latter due to gloves being produced cheaper in the east of England. After trekking another arduous 50 meters or so, I at last made it to King Street. I first spotted an off-licence in the first building on the street and had my suspicions that the old Newsfield offices may have been above this, largely due to Gordon telling me about his many snack runs to an license-licence below the offices. where many a year ago the townsfolk of Ludlow would have remembered the common sight of bleary eyed young folk falling out of the offices late at night talking in strange tongues about things like C64's and parallax scrolling etc. From the outside, the offices look pretty non descript. 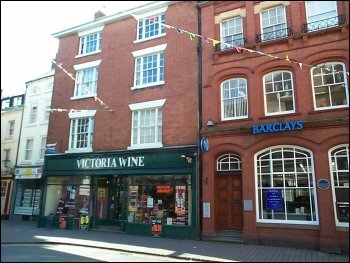 The first set of floors is over the Victoria Wine off-licence and the second set is over a Barclay's Bank. Unfortunately there was nothing to show Zzap had ever been there, no plaques on the walls of the buildings, there wasn't even a statue of Lloyd to be seen anywhere! I wasn't really expecting any remains of the Zzap culture to be around but it really was nice to get a sense of what it was like for the staff to work and live around Ludlow. 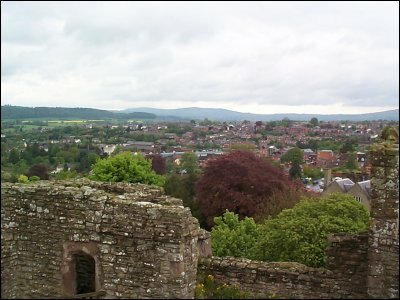 After from its historic significance in relation to Zzap, Ludlow is a very beautiful town and well worth a visit to if you are in the area. Just before I finish this article, there's an amazing discovery I made the following day after visiting King Street, which I must relate. This discovery is in connection to Lloyd! He still lives in Ludlow, apparently not wishing to venture further out into the world after Newsfield and Impact closed down. Is he still working in the computer industry? Unfortunately not, he now owns a pharmacy on Upper Galdeford. He is also as reclusive as ever, he never actually works in the pharmacy and after talking to the staff, I learned that even they only see him once a week when he gives them their paychecks. 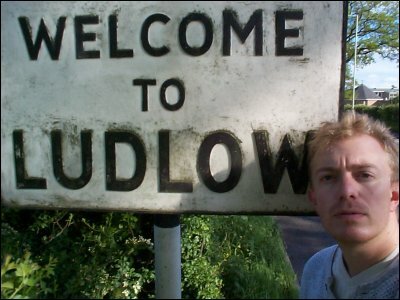 After being inspired by my trip to Ludlow, George from Birmingham decided to make his own pilgrimage, here is his account of events. "I so much enjoyed the account of your trip to Ludlow that today I organised my own pilgrimage to the former Newsfield offices. I really should have done this sooner as I only live up the road in Birmingham. 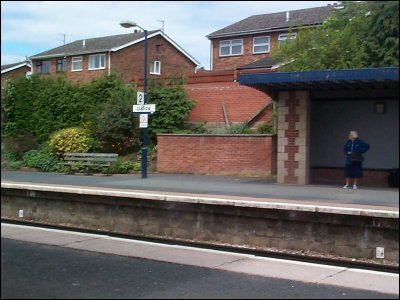 With my girlfriend and our daughter for company we parked behind Tesco, close to the railway station, and walked into the town. What can I say, it was overwhelming to stand outside the Victoria Wines and look up at the very offices where it all happened. If only I could go back in time 15 years and meet with Rignall, Liddon and co. I checked out the back of the building hoping to find some Zzap related grafitti but all I found were clean walls and the barred windows of the bank. However this may soon change thanks to your trip as during the day I saw two other sets of people photographing the building. I also have a snippet to divulge about Lloyd Mangram. 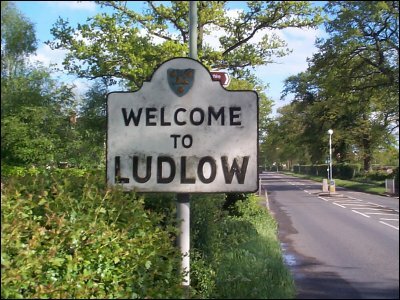 As we returned to our our car I noticed a haulage firm close to the railway station called "Lloyds of Ludlow". Coincidence...? Perhaps."